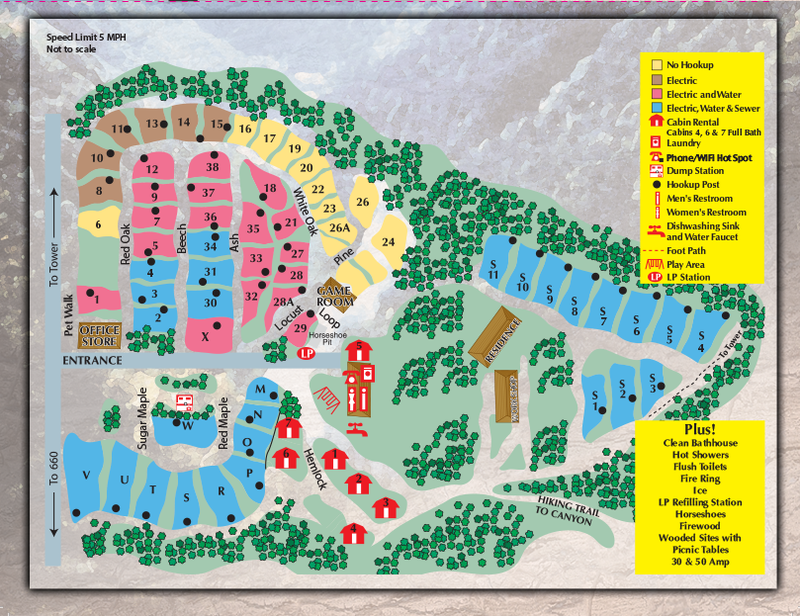 View the campground site map. 2 night minimum rental on weekends. 3 night minimum on holidays. Anyone coming to visit registered campers are welcome between 8:00 AM and 9:30 PM. For insurance & liability reasons, everyone MUST come to the office and register. Anyone staying more than 1 hour will be charged a Day Guest fee of $7.00 each & $5.00 per vehicle. A maximum of two (2) quiet pets on a leash are welcome per site throughout the campground. Pets are never permitted to be left unattended. There is a very fine short-term boarding kennel in Wellsboro. We do, however, reserve the right to deny certain types of pets as well as limiting the number of pets in a camp site. Please read our entire pet policy found in Courtesies. 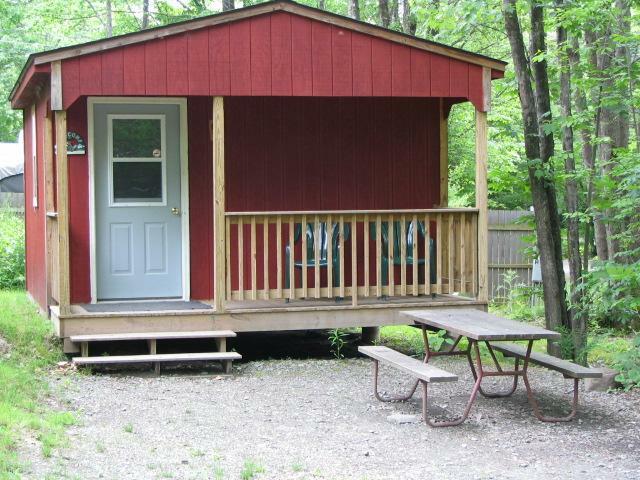 There is a charge of $15.00 per day, per pet in Rustic Cabin #2. We do, however, reserve the right to deny certain types of pets, as well as limiting the number of pets in the cabin. Please read our entire pet policy found in Courtesies. YOUR DEPOSIT is your promise that you will be there on the date that you specify for the length of time that you specify. YOUR RESERVATION is our promise to save you a site for the date and time that you specify. We do, however, reserve the right to substitute sites. During off season – we ask for checks to be sent to hold the reservation. 7 Days notice prior to reservation for all regular, non-holiday weekends. 2 weeks notice for holiday weekend cancellations. If the cancellation is received 7 days prior to arrival, a camping credit may be considered for use during the current season, less a $5.00 administrative fee. Camping credit is non-transferrable. If the cancellation is received less than 7 days prior to arrival, no refund or camping credit will be issued. If the cancellation is received with at least 2 weeks notice, a re-rental is required before a refund, less a $10.00 administrative fee is issued. If the cancellation is received less than 2 weeks prior to arrival, no refund will be issued.